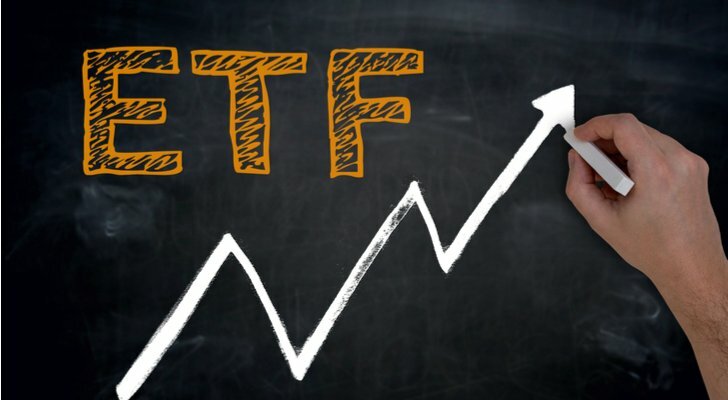 The exchange-traded fund industry continues to launch new ETFs to buy by the boatload; retail and institutional investors just can’t seem to get enough of them. Amazingly, through the first ten months of 2017, more than 20 ETFs were launched that hit $100 million or more in assets under management. Of the top ten, almost half were equity ETFs with a little fixed-income sprinkled in as well as some multi-asset funds. So far in 2018, the ETF launches just keep on coming. Even T. Boone Pickens has gotten into the game with the February launch of the NYSE Pickens Oil Response ETF (NYSEARCA:BOON) which is managed by TriLine Index Solutions, an affiliate of the oil guru. Naturally, it seeks to invest in companies participating in all areas of the energy business. Needless to say, there have been a lot of ETF launches over the past six months. I’ll recommend the seven new ETFs to buy now. I’ve always been impressed by the Global X ETF offerings because they’re so different than most of what’s out there. Perhaps that’s why it has grown to just less than $10 billion in assets under management. The second of my U.S.-centric equity ETFs, TMFC being the first, is the Global X Iconic U.S. Brands ETF (BATS:LOGO), which invests in 100 of consumers’ favorite brands. While the Chinese consumer is giving Americans a run for their money, the U.S. is still home to the largest economy in the world, and consumers here still play a big part in its success. Why not harness that power? Using a proprietary methodology, Accuvest Global Advisors have created the Accuvest Iconic U.S. Brands Index, which ranks the top 1,500 U.S. companies by market cap on a number of financial metrics, investing 2% in each of the top 25 companies and 0.67% for each of the remaining 75. The index is rebalanced twice a year and reconstituted annually. Consumer discretionary stocks (not a surprise) account for 36% of LOGO’s portfolio with 15% each in financials, information technology and consumer staples. It’s a concentrated portfolio, to be sure, but in all the right sectors. One of the first investment books I ever read — and liked — was The Motley Fool Investment Guide by David and Tom Gardner, founders of the Motley Fool. Their way of looking at stocks seemed so much more interesting and fun than the usual fare. Who knew they’d go on to run a successful publishing company as well as an asset management firm? I sure didn’t, but here we are 20 years later and they’ve brought out an ETF. Full disclosure: I do some writing for the Motley Fool’s Canadian site. Out less than two months, the Motley Fool 100 Index ETF (BATS:TMFC) is a natural extension of their asset management business given it already markets a series of mutual funds. If you’re looking for a passively active approach to large-cap growth investing; TMFC is it. I recently called WisdomTree Investments one of my ten best stocks to buy under $10. Although its stock’s performed poorly recently, the company manages more than $66 billion in assets under management with more than 90 ETFs available. The ETF I’m interested in today is the WisdomTree Balanced Income Fund (NYSEARCA:WBAL), which uses an old-school approach creating a fund of ETFs that is split 60/40 into equities and fixed income. If you like dividend stocks and want a decent helping of fixed-income in your portfolio, WBAL provides a good balance. Investing in 11 ETFs — two iShares, the rest WisdomTree — you’ll receive a 30-day SEC yield of 3.2%. WisdomTree feels WBAL is a good alternative to actively managed balanced mutual funds. I would tend to agree; essentially you’re getting a total portfolio for significantly less than you’d pay an active manager. I’m especially fond of First Trust sector ETFs. They’re a great way to capture a certain piece of the market without having to wade too deeply into the research. However, I’m recommending the First Trust SMID Cap Rising Dividend Achievers ETF (NASDAQ:SDVY) as a good alternative for fixed-income investors who also want capital appreciation from their investment capital. The ETF tracks the NASDAQ US Small Mid Cap Rising Dividend Achievers Index, which invests in 100 small and mid-cap companies who have a history of raising their dividends and are expected to continue to do so in the future. Eventually, many of these companies will become large-cap stocks. Interestingly, one of its top-ten holdings is MSCI Inc (NYSE:MSCI), a provider of indexes used in many ETFs today. The 99 holdings in SDVY are equally weighted, rebalanced quarterly and reconstituted annually. Consumer discretionary and financial stocks account for 56% of the ETFs overall portfolio. If you’re not a fan of analysts because you think they get it wrong more than they get it right, the Bernstein Global Research Fund (BATS:BRGL) isn’t for you. Personally, I think this is a good way for research analysts to put themselves out there because nothing speaks to one’s acumen than actual performance. Only open since October, it will take BRGL time to grow its assets, which currently are less than $3 million. The ETF tracks the Bernstein Global Research Index, a group of stocks covered by Bernstein & Co. sell-side analysts that are expected to outperform the MSCI ACWI Index by more than 15 percentage points over the next 6-12 months. There are a total of 141 U.S. and global stocks held by the ETF as well as a few ETFs to capture specific areas of the global markets. The top ten holdings account for just 11% of the portfolio so you know you’re getting a diversified group of investments. Taking a page out of the Dogs of the Dow, the Arrow Dogs of the World ETF (NYSEARCA:DOGS) invests in stocks and ETFs representing the five worst performing countries out of 44 developed, emerging and frontier markets excluding the U.S. where a reversion to the mean is expected within a rolling 12-month period. Tracking the AI Dogs of the World Index, it invests 30% of the assets in the worst performing country and then 17.5% in the next four worst-performing countries. Currently, Qatar is the top weighting with Pakistan, Israel, Canada and UAE accounting for the rest. If it works for the Dogs of Dow, I don’t see why it won’t work on a country basis. I’m definitely intrigued. It’s no secret that the windfall from the Trump corporate tax rate cut will go to increased dividends and stock buybacks by public companies and not better wages for the rank and file. Estimates suggest almost 36% of the gains will go to dividends and share buybacks with just 12% allocated to employees. If you’re an employee of one this ETF’s top holdings, you might do yourself a favor and buy the ETF so you too can benefit from the tax savings. There are lots of dividend ETFs and a few buyback ETFs, but the iShares U.S. Dividend and Buyback ETF (BATS:DIVB) appears to be the first that combines the two uses of free cash flow. The ETF tracks the Morningstar US Dividend and Buyback Index. It invests in the companies with the largest dividend and buyback programs by dollar value. A majority of the company holdings are large-cap stocks with an average market cap of $91 billion, $14 billion higher than its Russell 1000 benchmark. Given it’s the cheapest of the seven ETFs I’ve recommended at 0.25%, and it focuses on a group of stocks that will benefit greatly from the corporate tax rate cut, this could be a better alternative to the S&P 500. Article printed from InvestorPlace Media, https://investorplace.com/2018/03/7-new-etfs-to-buy-now/.